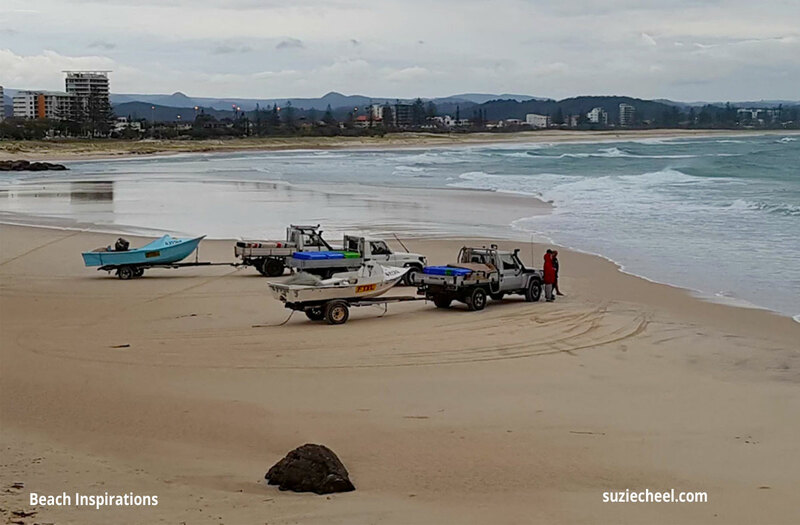 At this time of the year, this vignette of trucks, boats and fishermen is a regular, sometimes daily sight on our local beaches. They are waiting for schools of mullet. Sometimes they will be waiting there literally for days on end. Now mullet in these parts is not a highly regarded fish, and many Australians would never order mullet in preference to other fish such as bream or snapper. So it is usually sold at a significantly lower price. So for a long time we wondered about the economics of all this waiting by the fisherman, not to mention the sunk investment in trucks and boats. Then we found that the gold is in the mullet roe, apparently a prized – and expensive – delicacy in Japan and Taiwan, and maybe elsewhere. Sometimes real value is not obvious. Sometimes we have to wait for the bearers of value to appear.